Dylan Thomas, idolized as the enfant terrible of English poetry throughout the Forties and 'Fifties is now being re-assessed. Marxist critics, who took over the new universities in the early Sixties and who demand that poetry be about sledge-hammers, cement factories and fornication (in that order) written in the proletarian vulgate, have been succeeded by their illegitimate offspring (out of Levi-Strauss) the "Structuralists" and “Deconstructionists” They are the latest variants of an old intellectual phenomenon. I refer to the mental dead-end of establishing a criterion and then applying it to everything, and I mean everything, whether it be poetry or political economy, ignoring the well-tested axiom, that that which is an explanation of everything, is ipso facto, an explanation of nothing. One of these “new" critics, (whose name is totally forgotten) has wittily discovered that "DYLAN THOMAS" is an anagram of "NASTY OLD HAM." It is suggested that Thomas killed himself with drink because at an early age he "written out" with nothing more to say. The reason for this drying up is ascribed to his laziness at school. Too idle to work he escaped the wrath of his English-master father by declaring that he intended to be a poet, and only a poet; but a poet needs resources of knowledge in many fields, which Thomas, idle and crafty, had denied himself. His most popular works Under Milk Wood and Portrait of the Artist as a Young Dog are discovered to be mere pastiches of James Joyce, but also escapes into childhood, if not infantilism, though Thomas himself has stated explicitly that he had not read Joyce's Portrait of the Artist as a Young Man when he wrote his own work. Thomas' unique style is damned on the grounds that no one can follow him in it. Further, O shock! horror! gasp! he does not address himself to social and political issues. Finally he is not a Welsh poet, but a poet who happened to be Welsh. Despising Wales he fled Swansea for London at the first opportunity, and once there made no effort to mix and mingle with the Taffia, doubtless out of snobbery. Some points of this criticism we may concede, though whether they are as significant as the critics think, is a different matter. 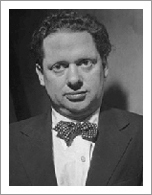 Dylan Thomas, like most school boys, was lazy about things that did not interest him, consequently although he was usually "top of the class" in English at Swansea Grammar School (where his father was Head of Department) he was usually bottom in most other subjects. Unfortunately his mother was in a constant state of anxiety over that scourge of Wales, T.B. There was in fact nothing wrong with Dylan's health (he won the school cross-country race several times) but it did not take him long, as it would not take any other boy long, to realize that school could be avoided by feigning illness ! We may concede then that Dylan Thomas was a "spoilt" child, adding that so was Robert Louis Stevenson, and pointing out that what the criticism ignores is that Dylan devoted these days of liberty to reading everything in his father's library at a phenomenal rate. As no one can know what Thomas would have written had he lived, nor what new intellectual and spiritual resources he may have acquired during what was undoubtedly a dry period, there is no point in discussing the first charge. As to the second, it is the critics who make the common error of assuming that unique work must be the start of a new movement in the arts, whereas in fact it is the end product of a movement long maturing. James Joyce's Ulysses and Finnegans Wake are a case in point. Those who believed that these two books marked the beginning of a new development in literature have been disappointed because they were suffering from a misapprehension The works in question were in fact the culmination of the Romantic Movement. No one has since written works of the same sort en the same style, precisely because they are not a birth but a culmination and there is nothing more to say. Equally the later symphonies of Mahler should be seen as the final flowering of the symphony, not the beginning of a new era of composition for ever vaster forces. The poetry of Dylan Thomas is the climax of the Modernism of Eliot and Pound, not the beginning of "post Modernism" whatever that might be. The third sort of criticism is a different matter, for it arises from a deep antipathy in Marxist cosmopolitan minds to the national, the differentiated, the rooted. The choice of rhythm and vowels makes glissarding impossible for anyone who does not have cloth ears. Another characteristic is that Thomas' poetry is impersonal, bardic; it is a poetry of public affirmation. From where does this declamatory quality derive if not from the chapel tradition of preaching and Biblical oratory? To follow the next step of the argument it is necessary to refer to the Collected Poems for the text of The Force That Through the Green Fuse Drives the Flower. The poem evolves a series of images, each meaningful in its own right, but symbolizing a deeper meaning which is dispersed throughout the poem by the structure. The stanza structure is in fact fairly orthodox; four lines with a refrain, the rhythm being based on syllable count pointed by alliteration and assonance. But the stanza has been taken apart and put together again in a new way to achieve the dispersal of the meaning. The third line of each stanza is an interjection. What does this suggest but an attempt in English at the Cwydd and Awdle of the bardic tradition? A Walsh bard would recognize the imagism hiding the meaning as the device known as Dyfalu which has the double sense of "to guess" and "to compare." He would have no difficulty in accepting the interjectory third lines as Tor ymadrodd, "a bardic device to attain pregnancy and compression, and "rigorous compression" was what Thomas strove for, sculpting his poems from a hard linguistic stone. It is not suggested that Thomas was making a conscious and scholarly attempt to use Welsh prosody in English. He spoke no Welsh and his father, who could have been the model for the ghastly "Mr. Jonas" in How Green Was My Valley, refused to speak it. However, direct communication is not the only way in which art is transmitted through a community. Art generates an ethos, a wavelength or vibration which is, or can be, tuned into. How else do Movements in the arts appear and spread? Is it impossible that Thomas was "picking up" the forms which had shaped and been shaped by the Welsh landscape and character? There is an organic connection between peoples and their native soils. Men are shaped by their habitat and in turn shape it. Mountain and water, field and hedge, house and farm, the design of implements, men and women, interact from generation to generation, bequeathing language, mores and skills. This is what we mean by culture. A small illustration must suffice. In the Pennines a stream with many tributaries which cuts deeply through the peat is called a "clough." It cannot be called a "River' and to call it a "Rivulet" would be absurd. Nor is it a "Beck" for a beck is a stream which runs over hard rock and cuts a narrow channel. it is a "clough;" the word belongs to the locale and the locale is perceived through the word. Thomas more than any other was the poet of this organic connection. in its extreme form it is the burden of all the early poems. Alcove of words out of cicada shade,"
he is striving for the Welsh words he did not have. It is of no moment whether he considered himself a poet who happened to be Welsh, or even an English poet, "The force that through the green fuse drives the flower," had already made him a Welsh poet.